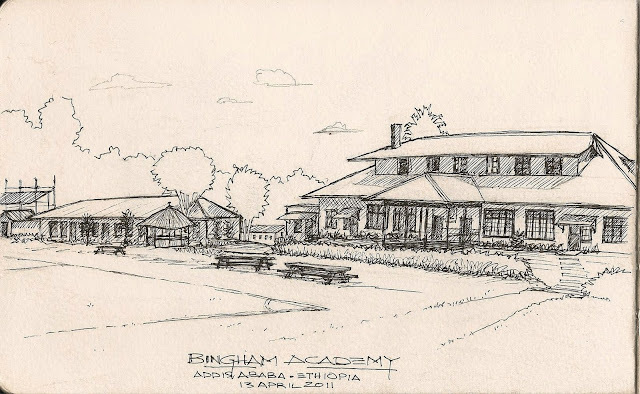 Found time to sketch the old main building on the campus of Bingham Academy, Addis Ababa, Ethiopia. If only that building could talk! I'm sure it would have many stories to tell about the students who walked its halls. 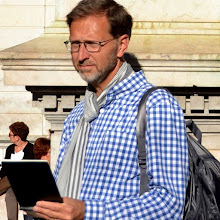 Proof that I was really there. It was a beautiful sunny day. Addis lays at an elevation of 7000 feet so it's sunny, breezy, and very low humidity all the time. Notice the tin roofs!